The Philippine Embassy in Iraq has released the following advisory on October 14, 2017. It addresses all Overseas Filipino workers in Iraq especially those located in Kirkuk and in the Kurdistan Region. If you are an OFW in Iraq, you should read the advisory as well as inform those who may not know about it. Here's a full copy of the advisory. It was published on the official Facebook page of the Philippine Embassy in Iraq. "In view of developments taking place in Kirkuk and in the Kurdistan Region of the Republic of Iraq, the Embassy would like to request members of the Filipino Community and their families in the Philippines to remain calm and to continue to monitor the Embassy's Facebook accounts for updates. At present, the Embassy does not see any immediate threat to the safety and security of our kababayans in the region arising from the reported tensions in Kirkuk Province. However, the Embassy would like to advise Filipinos in Kurdistan and other parts of Iraq to steer clear of Kirkuk at this time. The Embassy would also like to request our kababayans in Erbil, Sulaymaniyah, Duhok and other parts of Kurdistan to continue to remain vigilant and to report any unusual developments with us. 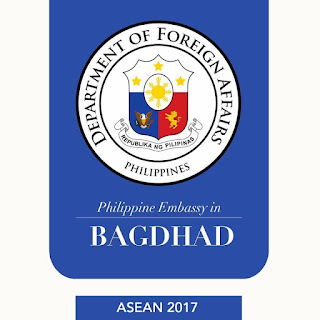 In connection with the measures taken by the Government of the Republic of Iraq in reaction to the recent independence referendum, please be informed that Filipinos intending to travel to the Philippines and other countries abroad will be directly impacted by Baghdad's decision to suspend international flights to and from Kurdistan. Filipinos going on vacation would have to take Iraqi Airways to Baghdad to board their connecting flights to the Philippines or elsewhere outside the country. Filipinos who entered Kurdistan directly and without valid Iraqi visas will only be allowed to board their connecting flights out of Baghdad after paying a fine of $420.00 to immigration authorities. The Embassy would like to advise our kababayans intending to travel out of Kurdistan that returning to Iraq may become a problem for those without valid Iraqi visas. 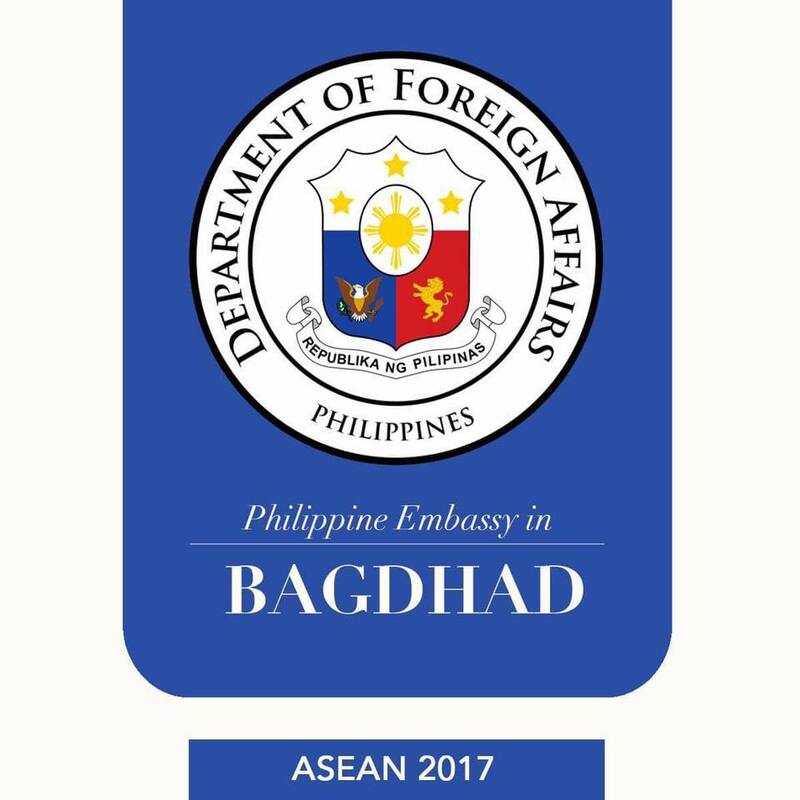 The Embassy still has not received any guidelines from the Ministry of Foreign Affairs in Baghdad on whether it would be possible for Filipino nationals already in the Philippines to secure their visas at the Iraqi Embassy in Manila. In view of this, the Embassy believes that it would be better for our kababayans to put on hold their travel plans until this matter is clarified. The Embassy regrets to inform our kababayans that it would not be in a position to assist Filipinos who may not be able to return to their jobs in Kurdistan in the even that they would not be able to secure their visas. Although the Kurdistan Region remains under Alert Level I, the Embassy remains ready to assist and bring home any of our kababayans who are willing to be repatriated at this point. The Embassy would want our kababayans who have been without work or have not been receiving their salaries or have expired iqamas to seriously consider getting repatriated. Please contact us if you would need assistance in going home to your loved ones. As part of our efforts to update our contingency plans, it is very important for the Embassy to have an accurate headcount of the number of our kababayans in Kurdistan. In this regard, may we request the assistance of our kababayans in Kurdistan as well as in other parts of Iraq to inform our other kababayans to register so they could be included in the Embassy database. We would need to know their names, location and contact details so we would know how to reach them or find them in case of emergency. Lastly, the Embassy would like to reiterate its invitation to our kababayans in Kurdistan to attend our Talakayan ng Pasuguan townhall meeting at the Empire Cinemas at the Family Mall in Erbil on Friday, 20 October 2017 at 1 p.m. We have a delegation from the Department of Foreign Affairs in Manila that will be joining us to listen to your concerns."